Product types suitable: 60 - 140mm diameters. 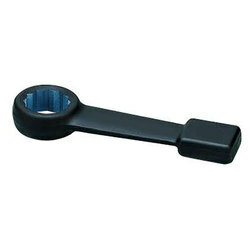 Size (mm): 4" to 36"
We hold expertise in offering a superior quality range of Fluted Roller Wrench. Widely used in varied industrial applications this offered range is designed and fabricated using latest tools and machines. All these products are stringently examine on varied parameters set by the industry by our expert team of professionals. Available in the market in different sizes and shapes, these Construction Wrench and Ratchet Spanners are excellent in finishing. In addition to this, these ratchet spanners are ductile and presented to the customers in multiple sizes. 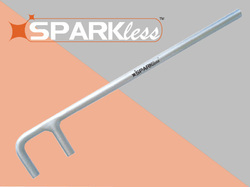 Moreover to this, these spanners are light in weight and easier to handle. We are one of the most reliable companies in this domain and are into offering Pipe Wrench. This Impatto Allen Key Socket Tool is used to fix drive bolts and screws with hexagonal heads. - Precise tip ensure more secure fit.